Air Force JROTC » Cadet Kaitlin Jowers Takes Command of TX-20012! 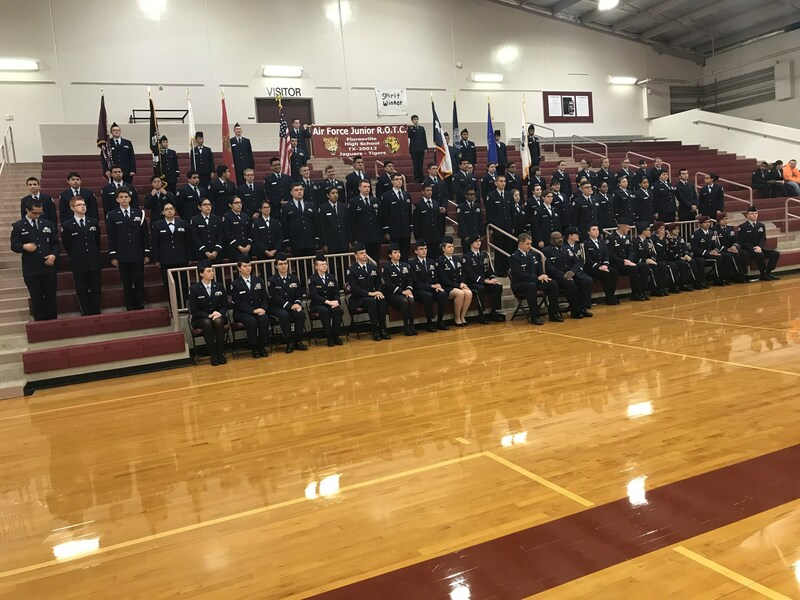 "Cadet Jowers Takes Command of FHS ROTC"
Photo #1: Cadet Colonel Kaitlin Jowers salutes as she takes charge of the Floresville High School Air Force Junior ROTC program for the Spring semester, during the unit Change of Command Ceremony. Her announced Vice Group Corps Commander will be Cadet Colonel Kylee Copeland. 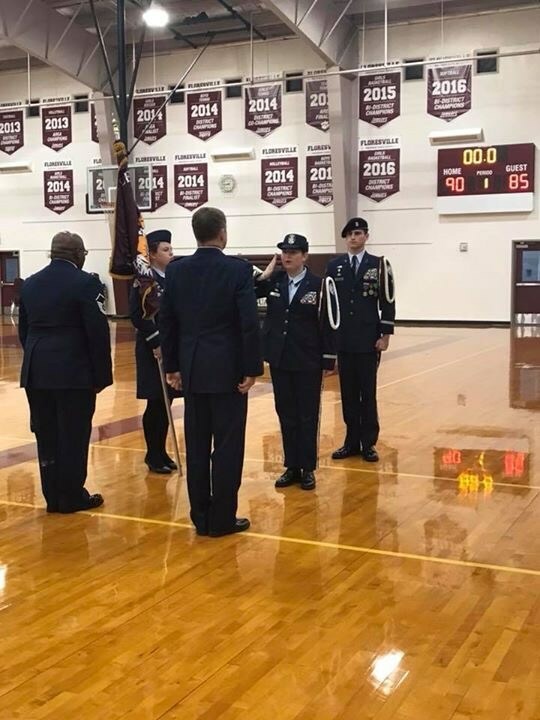 Photo #2: The Floresville High School ROTC unit looks on as Cadet Colonel Kaitlin Jowers assumes command as the Group Corps Commander.